The Sooner its not iceee the better! Get the title? Cause Oklahoma is the sooner state?? I have not left ‘the hill’ (What my family calls the horse farm) since I arrived Wednesday… it seems like that should be weird – but it hasn’t been. I have enjoyed just being with my family, playing board games, cooking, reminiscing and of course a few disagreements here and there. Since I have been on my own and living as an adult I have gotten used to the way I like to do things and I find it really hard to move back into the roll of daughter. Not because I don’t love my family and respect them, but because I like the way that I do things! Really though, and if I am stubborn and like to do things my own way – then my family is exactly the same way. Total fun! My grandma loves Hallmark Christmas Movies – so I have been watching a ton the last few days! In one movie we watched, a girl had the opportunity to make wishes and actually have them come true! – and so I thought to myself – what would I wish for? Honestly, the only thing I could think of was to have my grandma’s health back. She is getting old – we all are right?!.. but its hard to see a women that was so strong- start to get so frail and its scary and terrifying and I need to wrap my mind around it and figure out how I can navigate this time with as few regrets as possible. and NOW I realize what a downer this post has become and I apologize – but its real. Its really real and I am just evermore grateful that I get to spend time with my family. So thankful. On Saturday, the power was off in this small town for eight hours… I guess when you are in a place with about 200 people what is the big rush!? So what do people do with the power out – raid the pantry and play monopoly of course! It was so fun and something that would never happen in Coastal California. 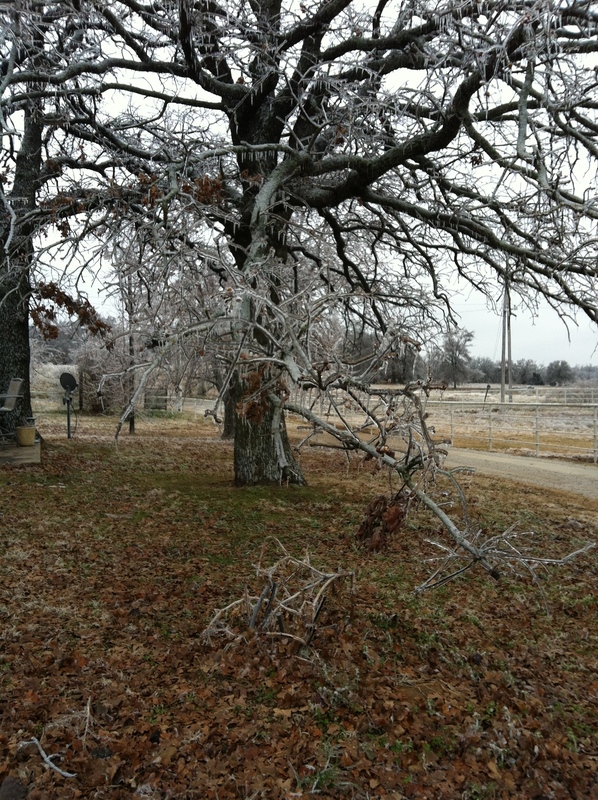 It is freezing here – literally we had a huge ice storm! Of course, I was stoked when I woke up Saturday morning because it looked like snow! andddd you know those icicle lights that folks hang up at Christmas time? 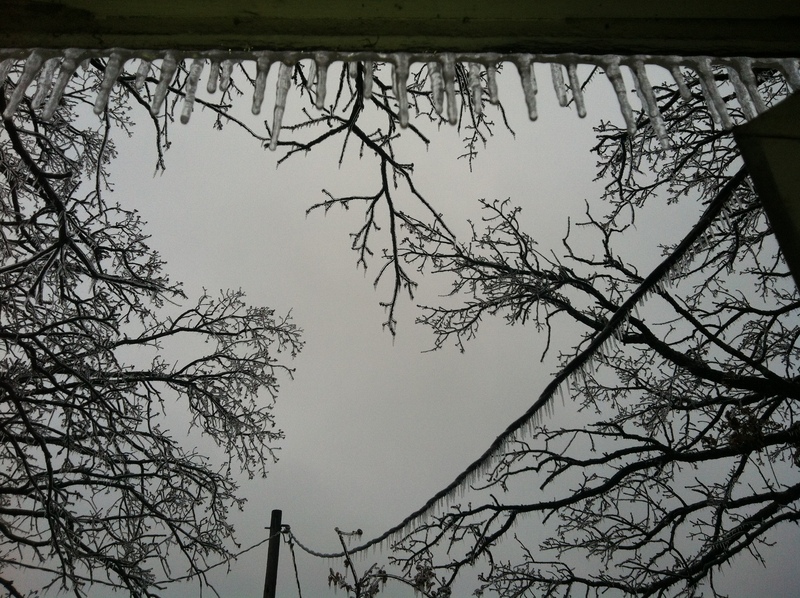 , I never understood those until I saw real icicles and was blown away by their beauty. I will take real icicles over the lighted variety anytime! 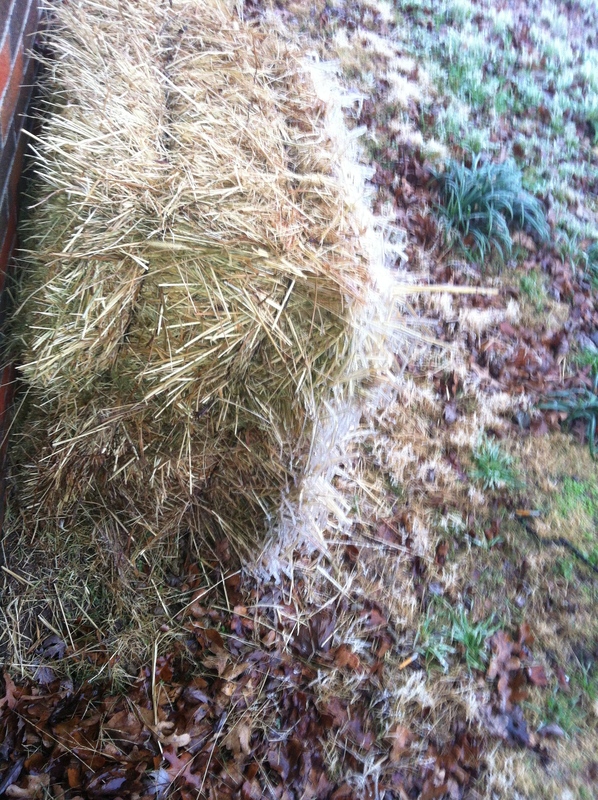 Even the hay has icicles!